Første sammenfattende systematisk gjennomgang av alle døgnfluearter i Europa. Med fotos og plansjer for å kunne bestemme alle arter. 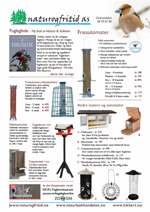 En vesentlig utgivelse for alle limnologer og entomologer, men også en bok som skulle interessere fluebindere…. Boka er lenge annonsert, og dessverre stadig forsinket. Vi har foreløpig ikke fått noen sikker utgivelsesdato. Among the various groups of aquatic insects mayflies (Ephemeroptera) are of especial interest for professional limnologists and entomological researchers as well as for naturalists in general and even the dedicated fly-fisherman. Identification has traditionally been considered difficult and implementation in environmental monitoring and freshwater management has led to an ever increasing demand for exact information on taxonomy and ecology. The present handbook is designed to provide for the first time an up-to-date standard work for Ephemeroptera identification, including last instar larvae (nymphs), subimago (dun), male and female imagines. Recent changes in nomenclature are discussed in detail as well as gaps in current knowledge and probable pitfalls concerning the reliable identification of all taxa known so far from the region. Keys are provided for genera and introductory chapters characterize every family and genus. Species accounts follow a common format providing a synonymy, characters for identification (including literature references), remarks (on variation, confusing or extralimital species) and short informations on biology and distribution pattern. Key characters are illustrated by micrographs and line drawings, REM photographs of the egg chorionic structure are provided for genera and selected species. Taxa recognizable in the field are illustrated by colour photographs. The geographical area covered is Europe (west of the former U.S.S.R.) and includes the mediterranean islands. Short additional information is provided for adjacent parts of the western Palaearctic Region, i. e. North Africa, Turkey and the European part of the former U.S.S.R. A comprehensive index, check-list and distribution catalogue (following the widely adopted concept of Illies' Limnofauna Europaea) allow for quick information on all species recorded so far from Europe. Contents: Abstract; Introduction; Key to the European genera (larvae); Key to the European genera (imagines); Check-list; Systematic treatment (family, genus, species); Distribution catalogue; Colour plates; Illustrations of larvae (line drawings); Illustrations of male genitalia (b/w photographs or line drawings as available; Illustrations of eggs (REM photographs); References; Index.